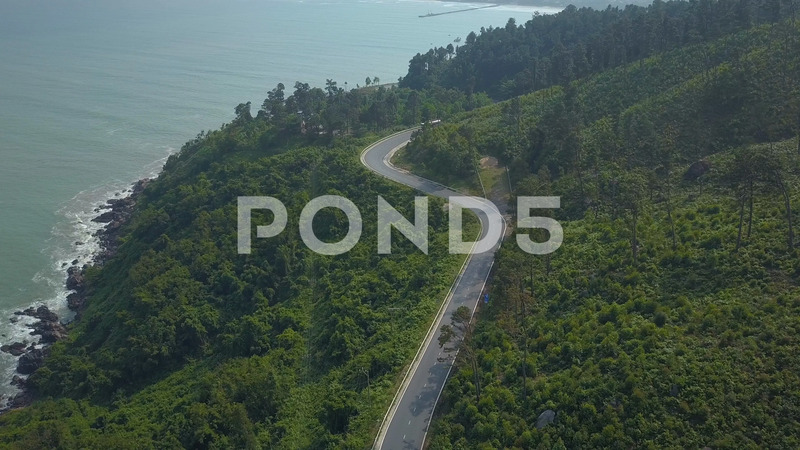 Aerial: Large Truck Drives Down The Scenic Coastal Road In Lush Green Vietnam. Description: AERIAL: Large truck drives down the scenic coastal road in lush green Vietnam. Flying above tropical forest covering the mountain in rural Asia. Spectacular shot from above of famous Hai Van pass.